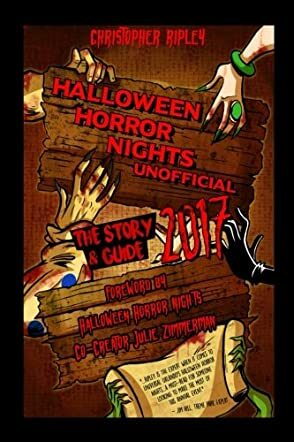 Halloween Horror Nights Unofficial: The Story & Guide 2017 by Christopher Ripley is a colorful story, constructed around the historic and highly attended Horror Night (Halloween Party) in Orlando. And this is not fiction, neither is it your run-of-the-mill Halloween story. It is a powerful guide to one of the most attended events in the history of Orlando, a guide that offers a vivid and engaging history of the event, looking back at its twenty-seven-year history. This book is written for fans of Halloween Parties, especially those who are keen on witnessing the goriest, scariest, bloodiest, and most thrilling experiences of the most horrific night of the year. In this book, the author walks readers through the significant moments of the event, including the scare zones in HHN history, back stories of icons of the event, survival tips, maps, graphs and a lot more. From the very first page, the reader knows they are not dealing with an amateur. Christopher Ripley writes in an excellent and professional style and the words flow with the confidence of someone who knows the subject matter intimately. The book is punctuated with entertaining illustrations and images, and readers will also enjoy the references that are so neatly integrated into the narrative. Halloween Horror Nights Unofficial: The Story & Guide 2017 had me intrigued and mesmerized. Apart from the author’s storytelling skills, he has a knack for arresting the reader’s attention with his popular, conversational style. This book is as entertaining as it is informative and after you’re done reading, you’ll want to be part of the exciting event.